Wonderful array of materials, and they helped me incorporate an old jumper of mine with sentimental value. Would of been great to have a little more attention so you didn't wait for next steps - but Tracey and Jamie were really personable and kind! Will definitely be back to Make Mee! Tracey was absolutely great! Her love and knowledge of sewing would put you at ease, and I cannot wait to go again for a full dress making. Would happily recommend her!!! AMAZING! This space is a haven of learning and calm. Great chats and lots to learn. 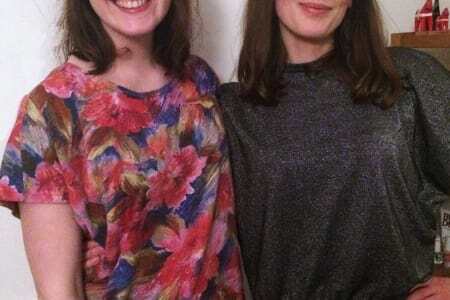 Tracey and Jamie are officially the best sewing teachers EVER! Loved it and cannot wait to get back into the studio in 2019! Great course if you're new to sewing, Jaime was a great teacher, really made the learning fun and enjoyable. My only criticism, if you can call it that is it could have been a week or two longer. The studio was of good standard and the machines easy to learn on. And as it only held 6 students it made it personable. The course itself was perfect for beginners. 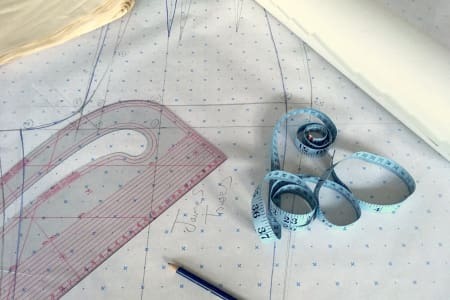 The class was a joy to attend, i was nervous about attending because i had never done pattern cutting before and only did sewing as a fun thing. Jamie was an excellent tutor. Very calm, patient and gave you the attention needed as a beginner. I met other lovely attendees, it was a really warm and encouraging atmosphere and i will be attending my next class in february. It was a delightful experience that has helped my confidence in pursuing this as a passion. I highly recommend Makemee studios. I am absolutely useless at crafts, so sewing was pushing my luck but Tracey was incredibly patient and helpful. 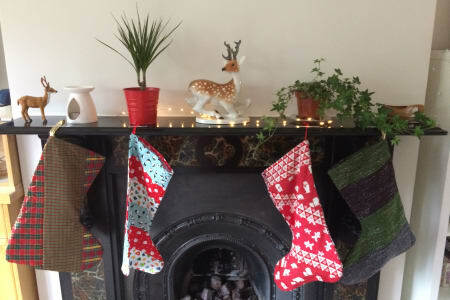 I had such a great time, have a half-decent stocking, and can't wait to go again soon! I made a zip purse! It was great, I arrived not knowing anything, and left with a wee purse that I had made myself. With a zip! The class was small, informal and lovely. I learnt a lot and will go again. I can't believe I made a pattern using my own measurments! The teachers were great. They taught in a fun and friendly way, they gave you time to work things out for yourself but didn't leave you behind if you were struggling. Would highly recommend it! 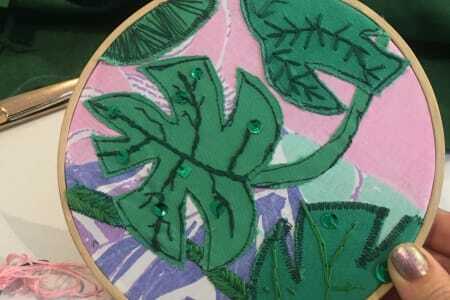 I hadn't sewn since school and I was really nervous about it, and thought I would be rubbish, but the teacher made me feel really calm and at ease, and was really friendly. I was super proud of my cushion & now I can't wait to go back and sew more stuff! I've got the bug. I have booked flexitime class and Jenny was very helpful and accommodating to my requests. The class was great, very friendly and I have learned everything I was hoping to! Will definitely be back! Lovely relaxing morning at make mee studio. Jaime is a patient, friendly teacher who made everyone feel welcome. I will definitely be back to learn some more. 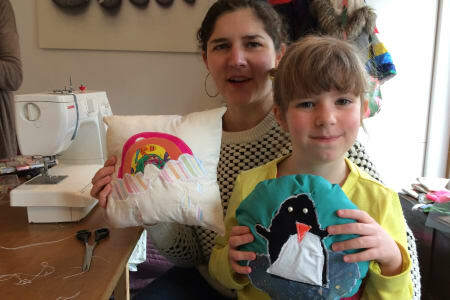 Myself and my son(aged 6) had a wonderful time at the embroidery class. 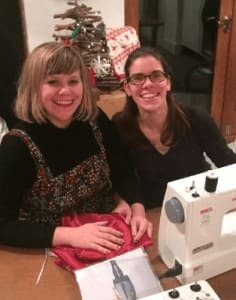 We were complete beginners and had no sewing experience before but Jaime explained things so well for us and gave us lots of helpful tips and advice,and really guided us through. Jaime was extremely welcoming and friendly and the class was relaxed and fun. The studio was easy to find,it was well- equipped with everything we needed for sewing and situated in a lovely peaceful area. It truly was a wonderful way to spend a Saturday morning. I would highly recommend Make Mee Studio and myself and my son will definitely be returning for future classes. Jamie the teacher was very patient. They have two great overlockers and a number of different sewing machines. The leggings I made with their pattern are great! I left the class with a pair of trousers which I am now using as my new pj bottoms. 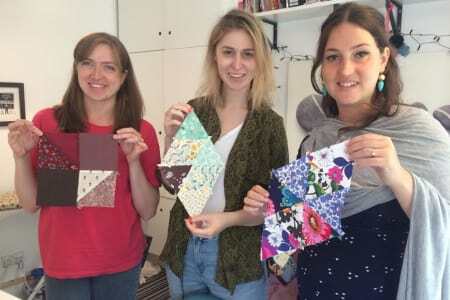 I would recommend the class if you want a one off experience sewing. For people who have sewn before or looking to learn I wouldn't recommend it as a it as there wasn't much teaching. The sustainable ethos is great and the teacher herself nice although I felt she was constantly checking her phone to see the time. 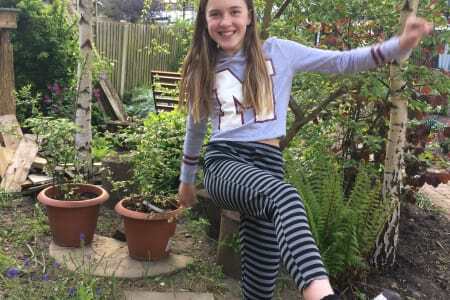 Jaime and Tracey helped me to make trousers from scratch, even though I have very little sewing experience. They were incredibly kind and supportive. My trousers are amazing. I had the idea to add a ruffled hem and they new exactly how to achieve the look I wanted right away! 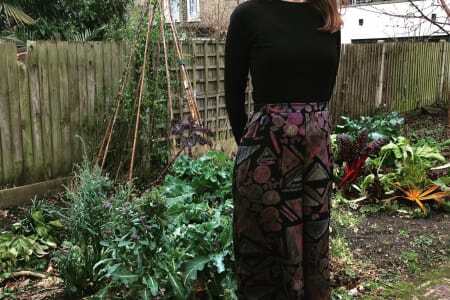 I had to come back and make another pair of trousers, this time with pockets and a flat-fronted waist. 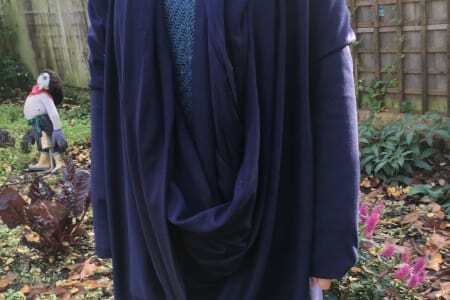 I am so happy with my fantastic new clothes, but the experience of making them was lovely as well. The studio is very relaxing as it is in a garden with big windows. I even got given a piece of homemade cake, which was delicious. Thank you Tracey and Jaime for everything! I will be back (again) to make a blouse next! I had an amazing time at the sewing surgery. 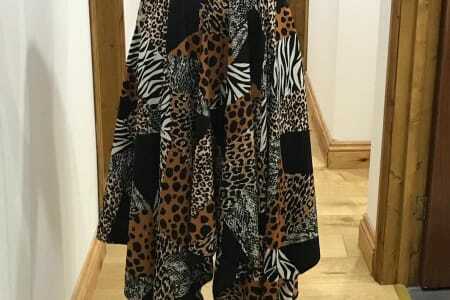 I wanted to take in and hem a skirt and don’t have that much experience. The teachers were so helpful and patient with me! 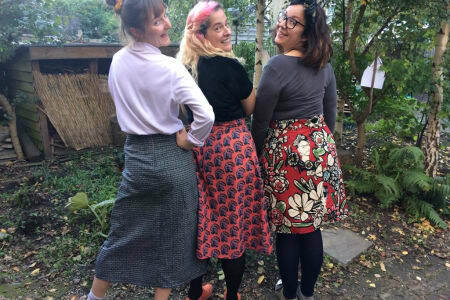 My skirt looks great and I can now wear it again. I would definitely reccomend to a friend. Tracey and Jamie are both excellent tutors. They have lots of different machines to use, including two overlockers. Nothing is too much trouble you even get home made cake! They even have an answer for the most difficult sewing fabrics! 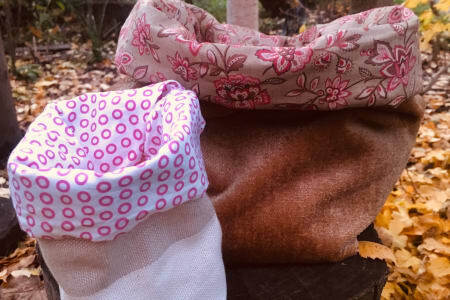 Definitely recommend going along with any sewing project you are stuck on. I really enjoyed this class. 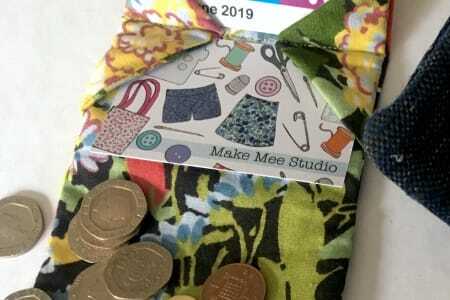 My new year's resolution has been to get back into sewing, and I was looking for a class that would allow me to get stuck in! 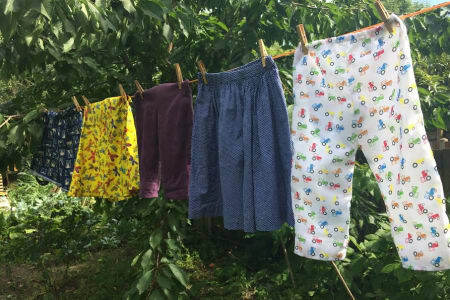 Make Mee was perfect for this - Jaime was a great teacher, reminding me of the various skills I had forgotten, while helping me to take up a pair of trousers at the same time! Not to mention the stunning "Garden Studio" - so cosy! And delicious brownies to accompany the workshop. What could be better. Would highly recommend. 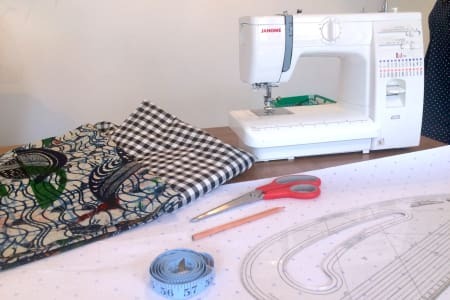 Sessions at the sewing surgery have helped me rediscover my enjoyment of sewing - something I'd not done since my teens but am now doing every week. With the help of Jaime and Tracey I'm finishing my second fully-fitted, super-funky dress and am beginning to work independently, sewing other items at home based on the patterns and techniques I've learned. 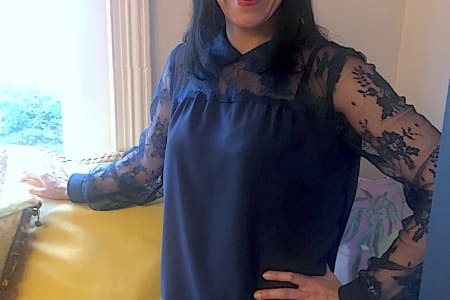 I've been given plenty of patient but invaluable advice, learned crafty shortcuts and am thoroughly thrilled to be able to use my new-found sewing skills to express my personal style. As always, friendly and helpful! 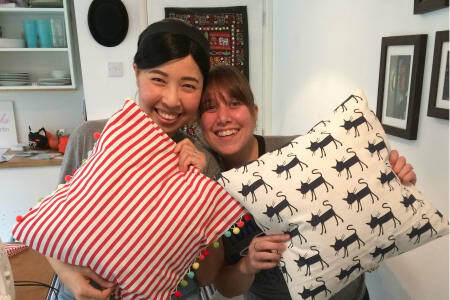 Jaime has helped me to master sewing a cushion cover. It's something I've wanted to do for a long time. She has given me the confidence and knowledge to expertly craft a cushion cover of a standard suitable for retail. The classes are small enough to receive one on one care and I also felt very comfortable. I highly recommend MakeMeeStudio. Very useful session. Useful tips and the group was small so we each got a lot of help with our own projects. 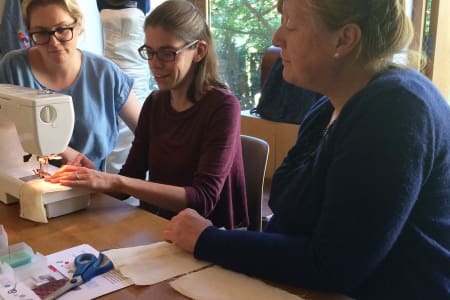 This course was a great introduction to sewing. 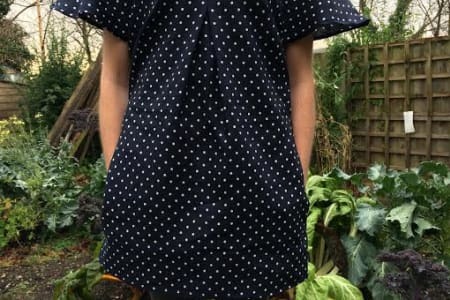 I familiarised with machine sewing, machines and various techniques from buttonholes to sleeves inserts. 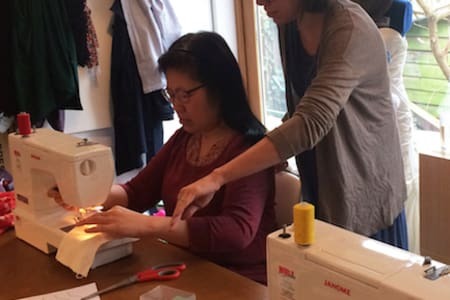 The teacher Jaime was very friendly and information, she created a nice atmosphere in which to unwind after work while learning new sewing skills. The venue was cosy and welcoming, very close to a local pub and transport links.